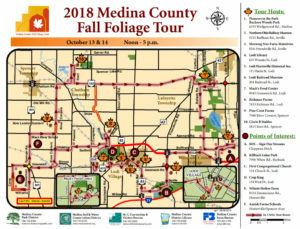 2018 marks the 50th Anniversary of the Medina County Fall Foliage Tour which will be held Saturday, October 13 and Sunday, October 14, 2018 from noon to 5pm both days. 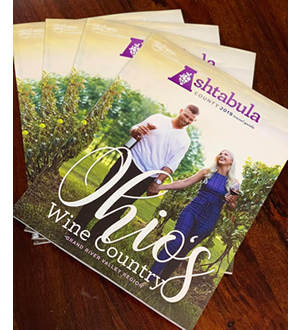 This year’s tour will be held in the southwest region of Medina County and will include Harrisville, Homer, Spencer and Westfield Townships. 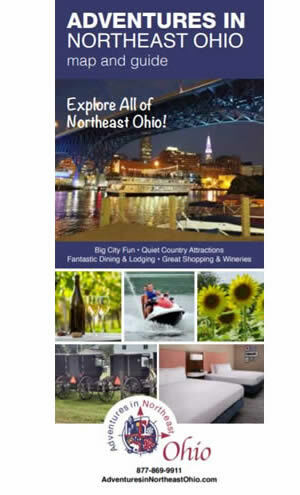 This is a drive-it-yourself tour geared towards families. 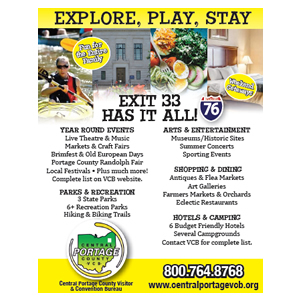 Host stops can be farms, agricultural businesses, historical locations as well as educational. There can be up to ten (10) host stops and a few points-of-interest along the way. 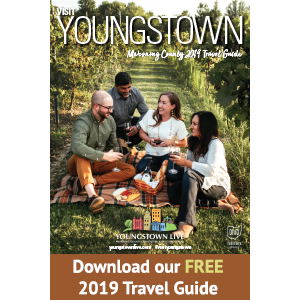 The tour is free but some locations may be selling items or charge for entertainment such as hayrides. This information will be noted on the map and descriptions to be available in late August once all the host locations are chosen for this year’s 50th anniversary tour. 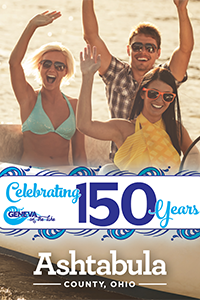 This year for the 50th Anniversary, the tour is hosting two special events. The first is a coloring contest for kids pre-kindergarten through sixth grade. Coloring contest pictures will be available starting July 30th at several locations at the Medina County Fair, all Medina County District Library branches and the Wadsworth Library. 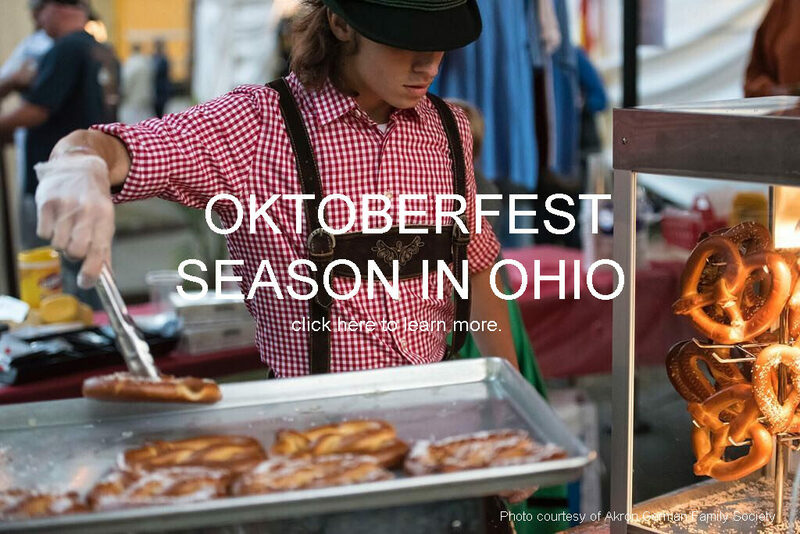 The completed entries are due September 15th and can be dropped off at any Medina County District Library branch, the Wadsworth Library or the Medina County Visitors Bureau’s office. Winners will be chosen by September 19th and will be notified. 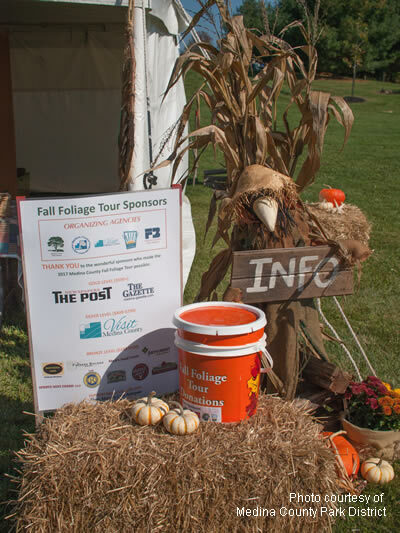 The second contest will be a Scavenger Hunt that will take place during the Fall Foliage Tour. It will be open to all ages and/or families. 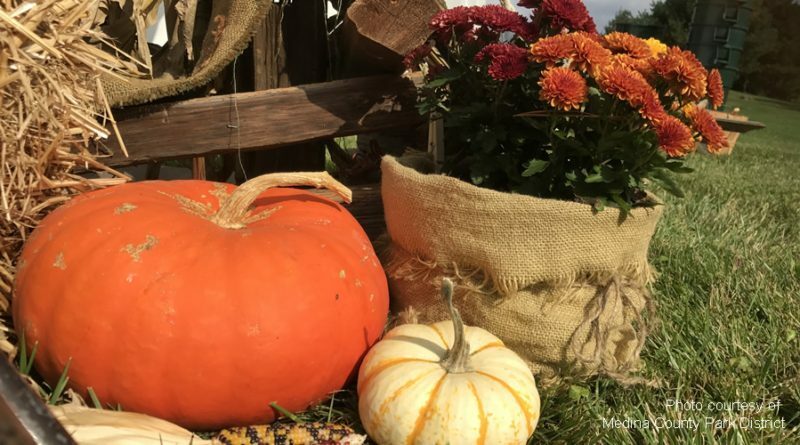 Entry forms can be picked up at any of the tour’s host sites during the tour and then can be dropped in the Fall Foliage contribution bucket at the last host site that you visit. Winners will be drawn a week following the tour and will be contacted for prizes. Anyone answering all the questions correctly will be put into a drawing for the big gift basket.